Discussion in 'North Atlantic Region' started by gkaan1, Sep 1, 2018. Just joined the CCA again after a 10+ hiatus. I Just picked up this 09 535Xi e60 only 59K miles 1 owner full service records. 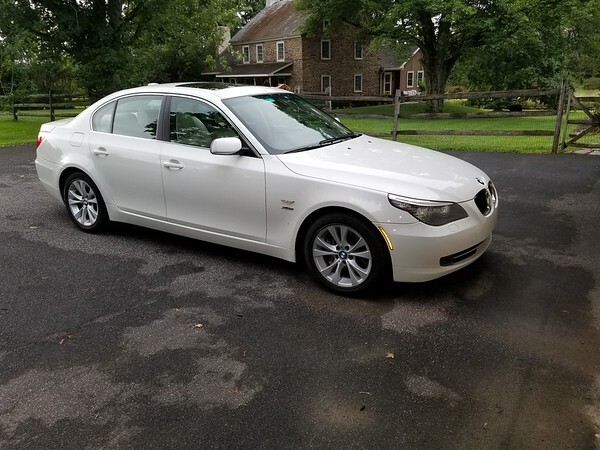 It's not a manual wagon that I wanted but I got a very good deal on it from a BMW dealer with a full 6 month warranty. I had to search hard to find any blemishes on this car..... and I am very discerning buyer. I have owned previously 2002Tii, 330Ci, 735, L7, 528Xi, 318Ti and a whole lot of BMW motorcyles. This is my new daily driver and its good to be back!